It's Time To Get Out Your Knitting Needles For Christmas! It's 1 November, Christmas is sooo far away- or maybe not? I don't think so. 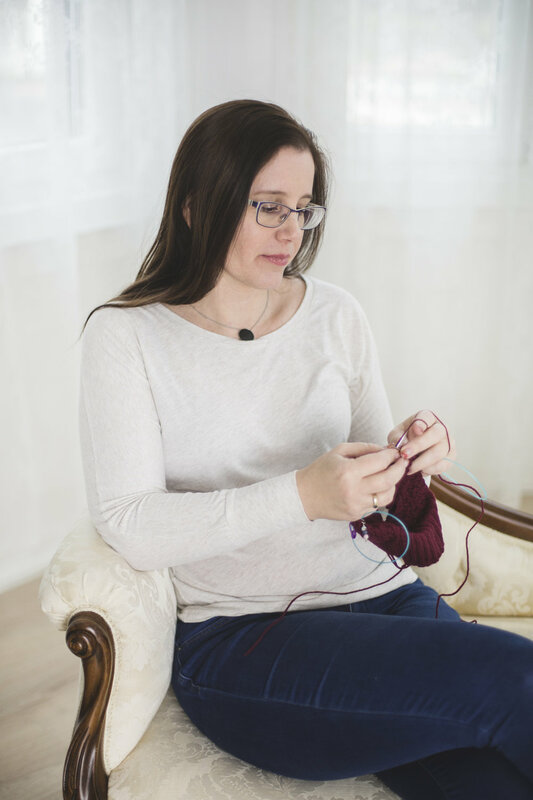 If you are a knitter (you probably are if you are reading this blog... :)) and want to gift something handmade to people you love you have to start in time. As a little gift I made you a Christmas knitting gifts planner, click, download, print, and start knitting! What would the recipient like? What would they appreciate? For a practical person a nice lace shawl might not be the best option, a warm shawl and hat is a better choice. For someone who likes fine accessories you can knit a special shawl. Men are more complicated, but warm socks, a hat or scarf will make them happy - using a solid color (brown, black or blue) is a safe choice. What do you like knitting? If you hate knitting socks, don't do it! Do you have a budget? Can you work from your stash? Most knitters have a big stash - it can be a bad thing on one side (where to store all your stuff), but now it can be handy - if you find the proper yarn in your stash, you don't have to spend any money. Yeah! If you need a Christmassy yarn check out Loveknitting's Festive Yarns assortment. Your brain started to spinning already? Do you have some ideas for who what from which yarn you would like to knit. Don't let go! Download the Christmas knitting planner! Let see some pattern ideas! This post contains some affiliate links for your convenience. Click here to read my disclosure policy. These projects are quick, everybody will fall in love with a sweet, festive decoration. And these are great opportunities for using up left-over yarns. Proper, wearable Christmas socks from Drops Design. For your man choose something simple like this one. And staying with socks, I don't want to leave out my favourite sock pattern: the Broken Seed Stitch Socks - they are amazing. Hug of the ocean hat - Because this hat is so different. Urban Legends Hat - Because this is slouchy, warm and beautiful. Montreal - Because I love combining a gradient yarn with a semisolid. I think I have knitted from this 3 or 4 times already. Snowfall - This shawl is a really "wintery" shawl, elegant, warm and flatters well. Fata Morgana - This scarf can bring some fun into the grey winter if you work with gradient yarn, or can be an elegant scarf with a solid color. Wildspitz - Lace shawls are always the best gift ideas, aren't they? or a hat with mittens. I haven’t found the perfect pattern for you? Loveknitting collected a lot of Christmas pattern here. You read this post too late? Maybe couple days before Christmas? You don't have time to knit anything more? Then use your leftover yarns to jazz up your wrapping! Use your gift as a mini loom! Wrap your yarn different ways - you can find in this post more ideas. Older PostQuick Knitting Tips #1: How To Avoid A Tight Edge?